Tenor Mackenzie Gotcher is a resident artist of the Academy of Vocal Arts in Philadelphia. 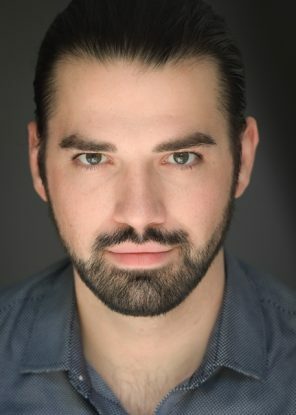 He garnered praise for his “spectacular singing” in his recent appearance as Agustín Magaldi in Weber’s Evita with Opera North. Additional recent appearances include Edgardo in Donizetti’s Lucia di Lammermoor, Macduff in Verdi’s Macbeth, Diego Delarosa in Randall Shinn’s new opera Rose in Flames, and Paul Bäumer in the Viennese premier of Nancy Van de Vate’s tragic telling of All Quiet on the Western Front. Mr. Gotcher was a resident artist with Sarasota Opera in 2013, 2014, and 2015 where he was awarded the Silver Award for Apprentice Artists. In his New York City debut, he was credited with “the most thrilling moment of the performance” for his portrayal of Malcom in Verdi’s Macbeth. He has appeared with Utah Festival Opera, Opera North, and the Künstler Orchester Wien. He is a grant recipient from the Career Bridges Foundation. Mackenzie will be featured as Cavaradossi in WTO’s 2017 production of Tosca.